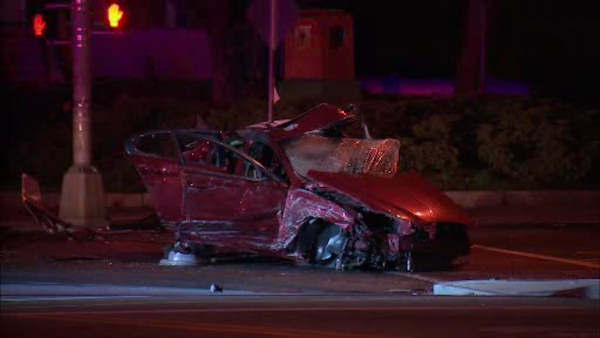 NEWARK, New Jersey (WABC) -- One person is dead after a car reportedly driving erratically through the streets of Newark crashed Monday morning. The red vehicle crashed at the intersection of Clinton Avenue and Irvine Turner Boulevard just before 4:30 a.m. The car also knocked down a pole, and debris was scattered throughout the street. The accident followed reports of a red vehicle driving erratically through the city.